LG has made no secret of its fondness for flexible e-paper, but those dreams became a reality today, with the announcement of a six-inch display that promises to "revolutionize the e-book market." The malleable plastic display sports a resolution of 1024 x 768 and can bend at an angle of up to 40 degrees. At just 0.7 millimeters thick, it's about one-third thinner than similarly-specced glass displays, and weighs in at 14 grams -- about half the weight of its glassy competition. LG also claims that the display is super durable, as evidenced by a series of successful drop tests from a height of 1.5 meters. The plan going forward is to supply the display to ODMs in China, in the hopes of bringing final products to Europe by "the beginning of next month." For more details, check out the full press release after the break. 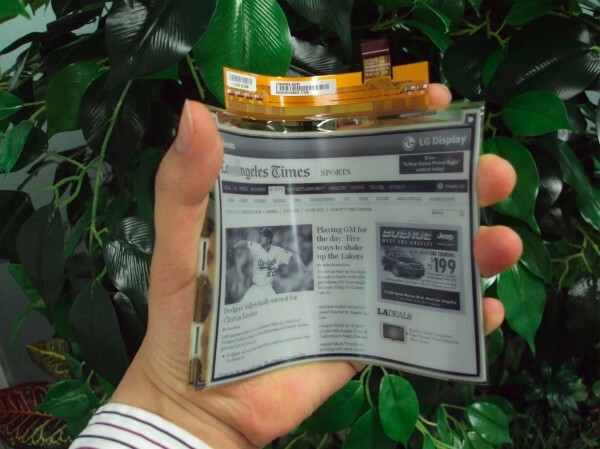 LG unveils flexible plastic e-paper display, aims for European launch next month originally appeared on Engadget on Thu, 29 Mar 2012 02:46:00 EDT. Please see our terms for use of feeds.